Prince Sataam pledged support for the tourism industry in Saudi Arabia after formally inaugurating the Saudi Travel and Tourism Investment Market (STTIM) 2009 event yesterday. The Prince said the tourism industry in Saudi Arabia will recover despite the global economic slowdown. 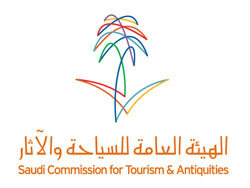 He promised to support the local tourism initiatives of the Saudi Commission for Tourism and Antiquities. SCTA President Prince Sultan bin Salman supervised the staging of the STTIM event. After the ceremony, Prince Sultan said the tourism industry globally would recover and be stronger than in many other sectors. He said all the projects and initiatives in the Kingdom have been launched and are operational.